There is no single word that comes to mind to describe the North Carolina natives Big Something. Their music is simple and complex, full and spacious, clean and dirty, straight up and deep down. There’s “something” about this band, a “big something,” that is almost impossible to pin down. Something that makes your feet move, but you are too deep inside the rolling bass grooves, ensnaring horns and masterfully funky chords to know or care why. Add a heaping spoonful of funk, a dash of quirky humor and a refusal to stay within the confines of what’s expected, and you’ve got a recipe for a one of a kind live music experience. In the midst of an ambitious fall tour, Big Something will invade The Hamilton in our nation’s capital on Friday, October 16 with support from the southern soul band Major & The Monbacks. Washington, DC locals are more than familiar with The Hamilton, which has hosted multiple premier artists, such as Sam Bush, David Grisman, Jackie Greene, Snarky Puppy, and, most recently, moe. The 550 person venue provides the perfect atmosphere for the community vibe that is ever present among Big Something’s devoted fan base. 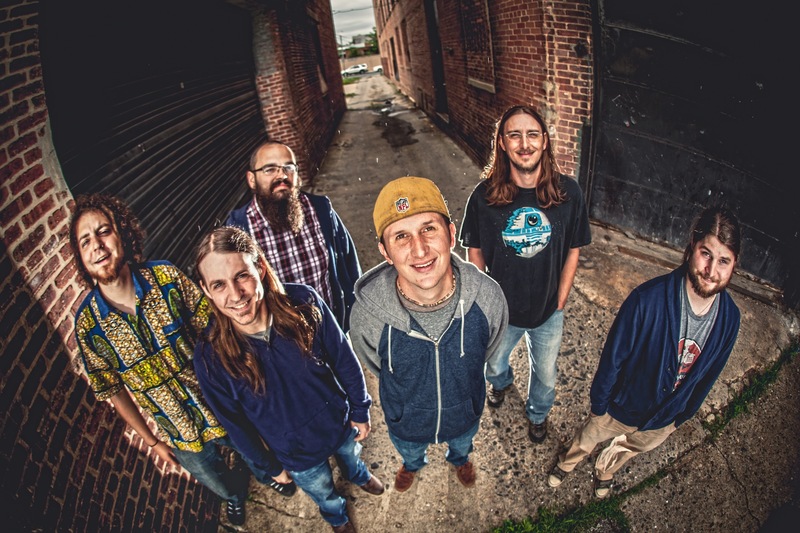 Big Something, formed in 2009, has toured relentlessly over the past six years, claiming support slots for Galactic, moe., The B52s, Robert Randolph and The Family Band, Zach Deputy, DJ Logic, Toubab Krewe, Dopapod, and many, many more. Their steady growth in popularity has also landed them in high demand for festivals around the country, including FloydFest, Camp Barefoot, Blackwater, Shakori Hills Grassroots Festival, Pink Moon, Strangecreek, Wormtown, Mantrabash, Smilefest, NC Music & Arts Festival, Front Porch Fest, Domefest and more. As if that wasn’t enough, the band also hosts its own festival in North Carolina called The Big What?, which has hosted artists such as Larry Keel, Consider The Source, TAUK, The Mantras, The Heavy Pets, Aqueous and more. With three albums of recorded material, new tunes always in the works and an experimental urge to take on covers, every Big Something show is as unique as the last. One personal favorite, and probably an almost unanimous fan favorite, is “UFOs Are Real,” which has an incredibly funky, laidback groove and a message relaying exactly what you would expect from the title. “The Undertow” has a fun-loving, rock/reggae combo to it, while “The Curse of Julia Brown” is a straight-ahead rocker. Dub, jazz, electronica and innumerable other subgenres seep their way into Big Something’s eclectic repertoire. This broad range of tunes allows them to thrive in multiple settings: daytime sets, night sets, opening sets, headlining gigs, festival slots, you name it! These guys are all over the spectrum, but with two primary goals in mind: keep the crowd on their feet and the music flowin’… I can hardly imagine them having any difficulty with such a goal. In essence, Big Something is a band that has found its groove, but continues to defy expectations and expand upon its legacy. They have aptly found a way to skirt between the catchiness of pop music with the edgy flavor of the not-so-underground that we all know and love so much. Washington, DC has always treated the band well, and Big Something has always delivered. So, the only question remaining is, “Will you be there?” The Hamilton has opened the doors for us, and Big Something will be ready to shake the walls… you can count on that! Mark your calendar for Friday, October 16. Big Something will be waiting to rock your socks off… seriously, I’ll be there with extra socks to hand out as you leave. Look out! Something Big, This Way Comes. This entry was posted in Heady Entertainment and tagged Artist Spotlight, Big Something, Concert, DC, Live Music, Major & The Monbacks, Rage, Rock, Rock & Roll, The Hamilton, Washington.